For other uses, see José de Alencar (disambiguation). Not to be confused with former Brazilian Vice President José Alencar. It was in the Diário do Rio de Janeiro, during the year of 1856, that Alencar gained notoriety, writing the Cartas sobre A Confederação dos Tamoios, under the pseudonym Ig. In them, he bitterly criticized the homonymous poem by Gonçalves de Magalhães. Even the Brazilian Emperor Pedro II, who esteemed Magalhães very much, participated in this polemic, albeit under a pseudonym. 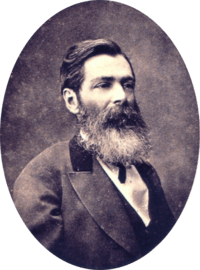 Also in 1856, he wrote and published under feuilleton form his first romance, Cinco Minutos, that received critical acclaim. In the following year, his breakthrough novel, O Guarani, was released; it would be adapted into a famous opera by Brazilian composer Antônio Carlos Gomes 13 years later. O Guarani would be first novel of what is informally called Alencar's "Indianist Trilogy" – a series of three novels by Alencar that focused on the foundations of the Brazilian nation, and on its indigenous peoples and culture. The other two novels, Iracema and Ubirajara, would be published on 1865 and 1874, respectively. Although called a trilogy, the three books are unrelated in its plots. Alencar was affiliated with the Conservative Party of Brazil, being elected as a general deputy for Ceará. 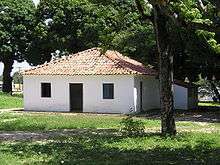 He was the Brazilian Minister of Justice from 1868 to 1870, having famously opposed the abolition of slavery. He also planned to be a senator, but Pedro II never appointed him, under the pretext of Alencar being too young; with his feelings hurt, he would abandon politics later. ↑ RODRIGUES, Antonio Edmilson Martins; FALCON, Francisco José Calazans. José de Alencar: O Poeta Armado do Século XIX. [S.l. ]: FGV Editora, 2001. Wikimedia Commons has media related to José de Alencar.